John Madden Football co-creator Robin Antonick's claim that Electronic Arts owes him two decades worth of royalties on the Madden NFL franchise will soon go to trial. All the way back in 1988, Robin Antonick was part of the team that created John Madden Football, the game that would launch one of the most durable videogame franchises of all time. His time on the franchise ended with the 1991 release of John Madden Football 2, but he claims he signed a deal with EA which would see him paid royalties on any derivative works related to the game. His last royalty check arrived in 1992, after which Antonick believed the game had been completely rebuilt, ending his right to recompense. But when he saw marketing materials for Madden NFL 11 which stated that the game is still based on his original work, he filed a lawsuit against the publisher seeking unpaid royalties and, more significantly, "disgorgement of all profits" earned over the past 20 years. Electronic Arts quickly sought a dismissal of the suit and EA founder Trip Hawkins, another Madden Football co-creator (the whole thing was put together by about a half-dozen guys) dismissed Antonick's contribution, describing him as merely a contracted programmer who didn't even work on-site. But a California judge has denied EA's request for a dismissal and ruled that the case will proceed to trial. 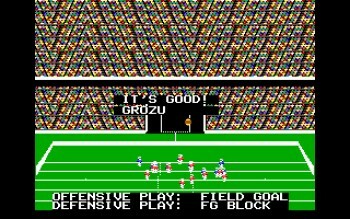 "We have very compelling evidence indicating that EA used Mr. Antonick's ground-breaking code and design elements as the basis for both past and present Madden NFL titles," said Robert Carey, one of Antonick's attorneys. "Yet, EA has failed to compensate him as required by his agreement or give him proper credit for his work. We look forward to proving our case at trial, and we are very confident that we will prevail." It's unlikely that the "disgorgement of all profits" thing is going to happen but given the amount of money the Madden NFL series has made since '92 - the law firm representing him describes it as a $5 billion franchise - it will still be a massive payday for Antonick if he wins: He claims the terms of his contract guarantee him 1.5 percent of the profits arising from any derivative works, which adds up to more money than you or I would earn in a dozen lifetimes. The trial is scheduled to begin on June 17.